This took a while longer than I thought it would to get this edition to you, but here I am (Damien, here’s hoping you weren’t getting too impatient!). So still in London, we took a hop-on/hop-off tour of London and we saw almost ALL there was to see of London, both what we call London, also known as Greater London and Old London (which is actually not that large). We sat on the top deck of the double decker tour bus and went through all the major boroughs. Back past Big Ben, past Westminster Abbey, past Kensington Gardens, Hyde Park, Trafalgar Square, Piccadilly Circus, as well as many of the theaters where shows like Phantom of the Opera, Les Miserables, Billy Elliot, and Pajama Time. We saw many merchants who service the Royal Family, and both the London Bridge and Tower Bridge; usually mistaken as “London Bridge.” This is not the original London Bridge. Actually, it’s not the second one, either. The first several versions were made of wood and timber and was constructed by the Romans. Then there was another that lasted around 600 years. It was in disrepair and in dire need of reparation. Instead of doing the repairs, the London Council decided to try and sell it. And sell it they did. They sold it to an American oil tycoon for a little over $2.4M. He had it deconstructed and reconstructed in Lake Havasu, in Arizona. The tour also included a boat ride on the Thames River past the London Eye and the Shard, the tallest building in Europe. But, the thing that was most interesting on this outing, at least to me, was the Jack the Ripper Tour. Our tour guide took us around Old London (at least to the parts still standing after the bombings of WWII), following the documented path of events that happened over a three year period in the late 1880s. It was creepier than the ghost tour in Edinburgh because even though that was based on history, the “ghost” part was questionable. This was factually based on police and newspaper reports. It was well worth the time. 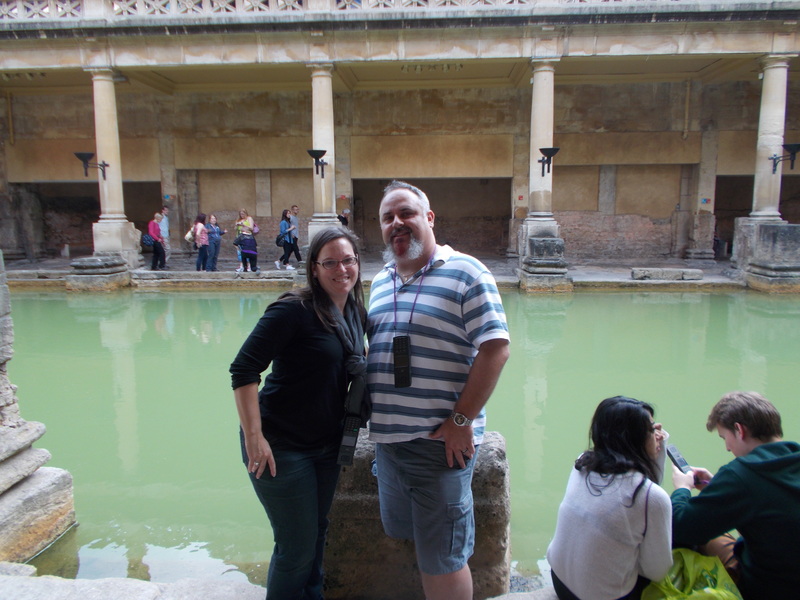 The following morning, we had a day excursion to the medieval towns of Salisbury, Stonehenge and Bath. Due to scheduling “conflicts” with the tour company, the tour had to be rearranged. Usually, they would start in Bath then go to Stonehenge and then to Salisbury. We actually did the trip backwards. The conflicts will be spelled out a little better as we go. So first, by bus, Salisbury. 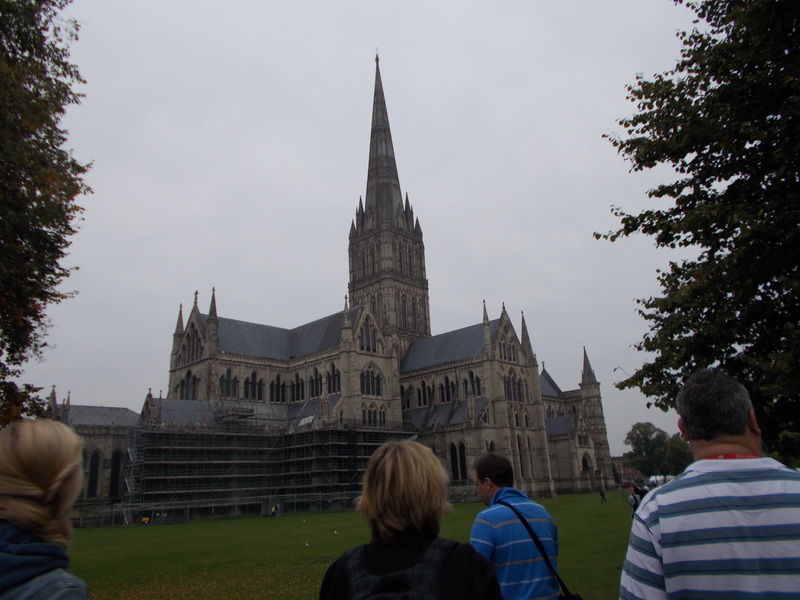 Salisbury is a small country town that is home to Salisbury Cathedral, an Early English Gothic style cathedral which dates back to the year 1258. This cathedral was the subject of many paintings by John Constable and also the setting of William Golding’s novel The Spire. 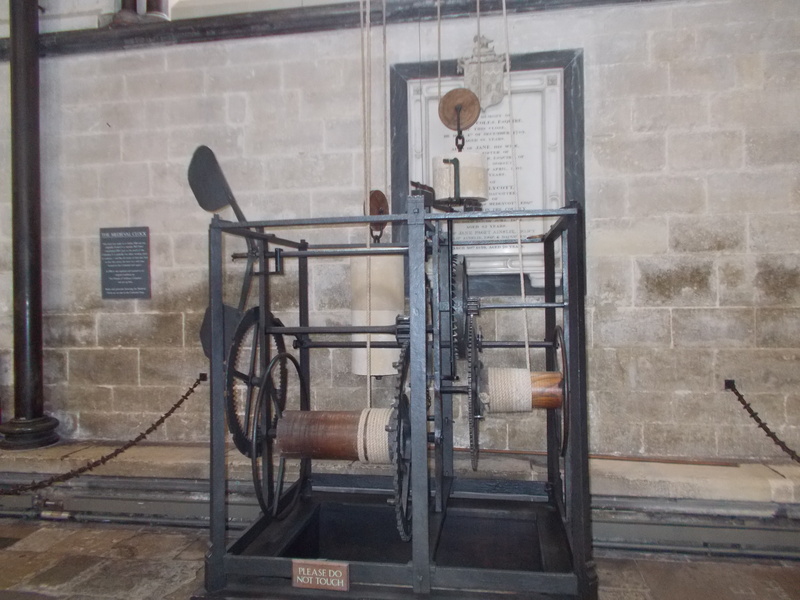 Another odd fixture is the Cathedral Clock (dating back to 1386) which really doesn’t look anything like a clock. It’s more of a time piece, or mechanism, than a clock. But, the prized “possession” of the church is one of only 4 remaining original copies of the Magna Carta, which, basically, laid out the foundation as to what most modern day democracies were based. We were given a guided tour, shown the tombs and crypts, and then allowed to peruse the Magna Carta. Of course, none of us, as far as I could tell, could read Latin so we didn’t know exactly what it said, but there were translations available. We got to walk freely about the grounds and it was very interesting to see the structures and architecture. We then made our way back to the bus. We had to go there first because they were closing the cathedral early that day to have the funeral for a bishop that served there for 11 years in 1982-1993. 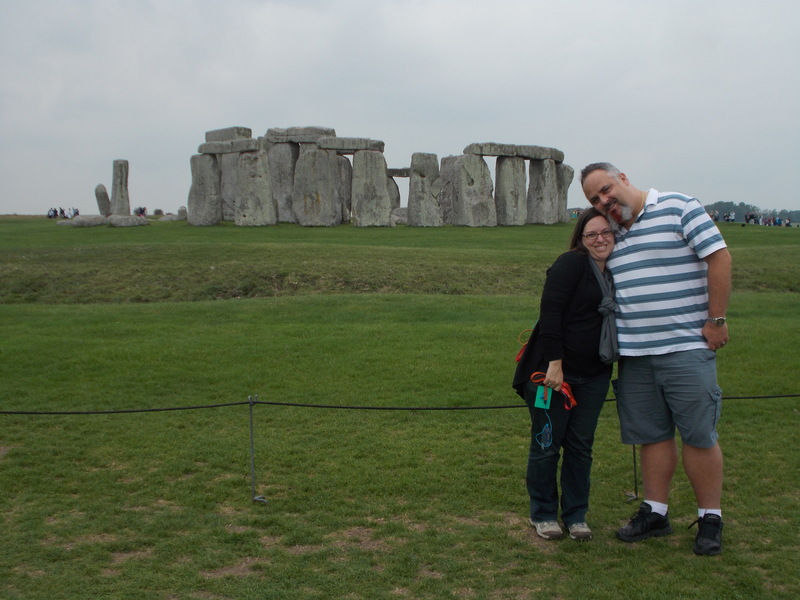 So, then we moved on to Stonehenge. There’s no explanation needed to describe what Stonehenge is. It’s a circle of mysterious stones. What can’t be explained, however, is how they got there. There is still, after centuries (millennia? ), no explanation as to what it is, exactly, where it came from and why. We were driven to this country town and then had to walk down to a staging area where they drove you, via small buses or rover trams, about ¾ of a mile to the actual monuments. We had carry-along personal guided recordings that were listened to like a phone. You punch in the code and then hit play and it tells you something about that particular part. Yes, there are parts. It’s some about the soil, the theoretical history, documented facts, etc. There’s a good bit of stuff to hear. But, just like Salisbury we were rushed out of the park early because of an event. The event, we were told, was NATO coming to tour. What we didn’t know is that President Obama was with them. So 45 minutes after we left, he took the picture of him standing in the middle of the monument, something that is reserved only for important people. That’s not us, obviously. So ok, we moved on to Bath. 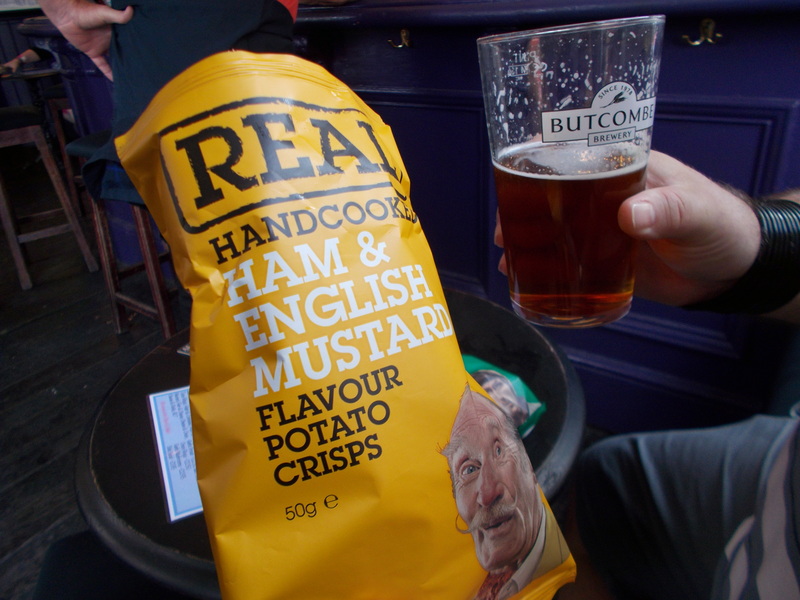 Ham & English Mustard Crisps? This Bath isn’t a tub with a detachable massaging head, a “10% More Free” bottle of Mr. Bubble and a loufa. In fact, you certainly don’t want to be in this bath, at all; at least not any longer. Bath is a city of just under 90,000 with green rolling hills and 2 universities. But, the name itself come from the fact that it was once a Roman Spa once a natural hot spring was discovered and used as a shrine to Minerva. After the collapse of the Roman Empire the place fell into disarray, really ruin, until rediscovery. The roof collapsed over time, but the structures near the hot spring were long preserved. You don’t really want to touch the water in the pool because it’s just full of bird poo and other animal “stuff.” You can drink some water from the spring (through a tap, not the pool) and I will say, it isn’t very good; warm and kind of gross. Bath is also known for its ice cream and The BCPF had her some. Of course, we were still in England so I had to have some beer. There was a pub near the bus meeting point and I had some beer. I didn’t get the name of it, but it was pretty good. The remarkable thing here was a bag of potato chips (or crisps in UK) in the flavor of ham & English mustard. Surprisingly, it was good. Weird, but good. Also, something we definitely remembered about Bath was the busker in the Bath Abbey Square playing an acoustic version of “Creep” from Radiohead in front of the grandmas and grandpas and other on-lookers that seemed not too perplexed. Seeing all those old memorials, shrines, structure, architecture varieties and country side that surrounds them, really makes you realize how young the country we live in is. These are things that are older than most things we know and we’re part of a baby when you put the years in perspective. Most of Europe is like late teens to our still infancy. The 2 ½ hour bus ride back was quiet and serene allowing us to look at more of that gorgeous country. 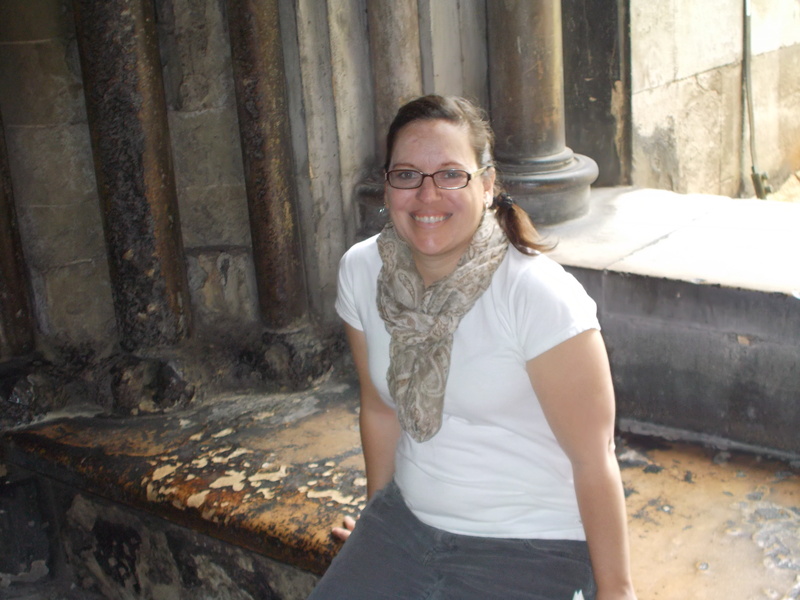 The next day, back in London, we visited Westminster Abbey. Westminster Abbey is more than just a church and cathedral, it’s a burial place of many and a memorial to even more historical figures in religion, the arts, philosophy and British politics and sovereign notables. We really went in wanting to see one “wing,” the South Transept, commonly known as “Poet’s Corner.” What we got was so much more. The BCPF has always had a slight fascination with Mary, Queen of Scots and somehow we didn’t realize that she was buried here. She’s actually buried directly across the cathedral from her arch rival, Queen Elizabeth I. I think the interesting part of that is, while she was made to look bad by Elizabeth, Mary, QoS’s tomb is more elaborately and, in my words, cooler than Liz’s tomb. Other notables buried here, and of whom we gawked at their tombs, are: (Monarchs and/or consorts) Henry III, Edward I, Edward III, Richard II, Henry V, Edward V, Anne Neville (wife of Richard III), Mary I of England, Anne of Cleves (wife of Henry VIII) – she kept her head, James VI of Scotland and I of England (and son of Mary, QoS). Some of the notables in the Nave are Charles Darwin, Sir Charles Barry, Sir Isaac Newton and Dr. David Livingstone – yes, of “Dr. Livingstone, I presume,” fame – although his heart is buried in Zambia. There are several other noteworthy areas with important historic people. But, as I said we wanted to see “Poet’s Corner.” In this transept the following people are either represented or buried there: Robert Browning, Thomas Campbell, Geoffrey Chaucer, Charles Dickens, Michael Drayton, George Frederick Handel, Thomas Hardy, Rudyard Kipling, Laurence (Baron) Olivier, and Alfred Tennyson. The bad thing about that was there was so much awesomeness to see and no photographs were allowed. Sad face. Aww. The last thing (I know I’m long winded tonight) I will talk about is the fish and chips that I ate at a place called The Plough. 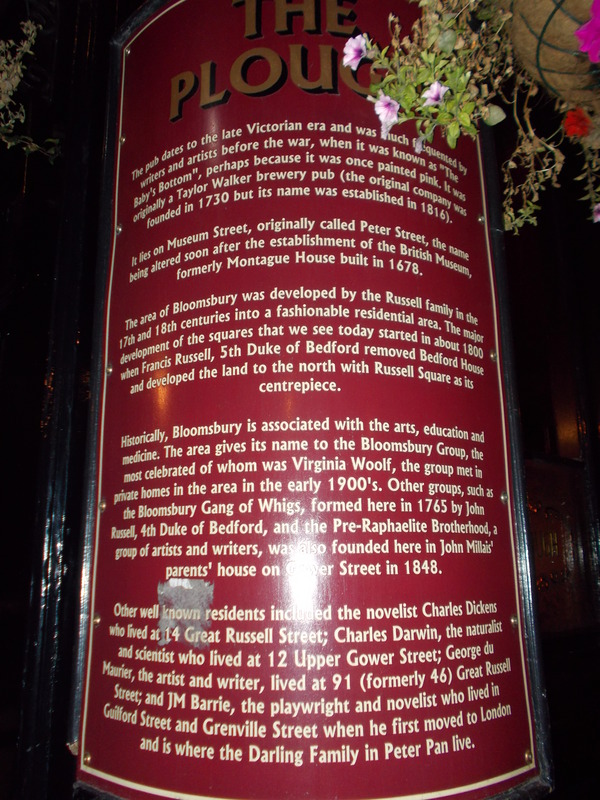 The Plough was notable because it was in a place where Darwin and Dickens both frequented. The place has obviously gone through several changes in ownership but the same place hosted them. Anywhat, I had to have fish and chips and I must say, (and I don’t say this because they’re friends of mine, or sponsors of The Less Desirables) I believe the f&C at Finnigan’s Wake Irish Pub & Kitchen in Winston-Salem made this British version look like poppycock. And, The BCPF actually drank a whole pear cider from Strongbow and I think she liked it. Jeez, I love that woman! That was all for London; at least for this writing. London, I’ll say was a wonderful city; HUGE. The Underground makes for easy movement about the city. There’s lots of history in England to sink our American teeth into. The whole UK was kind to us and now we must depart it in our story. Up next, we ride the Eurostar through the “Chunnel” (tunnel under the English Channel, under the water) into our favorite European city – the City of Light – and more magical stories.